We're living in a time where there's great fear in our society: gas prices, the economy, jobs, mortgages, homes, foreclosures, politics, war. In the midst of such uncertainty, how can we be people of no fear? We're living in a time where there's great fear in our society: gas prices, the economy, jobs, mortgages, homes, foreclosures, politics, war. In the midst of such uncertainty, how can we be people of no fear? 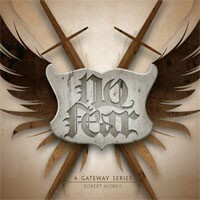 Join Pastor Robert Morris for the three-part Gateway Series, No Fear, and discover how to put your hope in God and live without fear!